Happy Monday! With our Crop & Create event season almost upon us we thought we would take a moment to answer "What is Crop & Create?" It's a question we get often and as we are kitting hundreds of kits and prizes it seems a perfect time to answer! 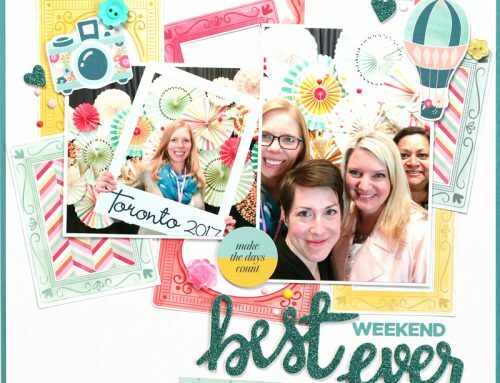 Crop & Create is an industry event that brings together papercrafters, manufacturers, retailers and amazing educators for a weekend that is all about creative inspiration, friendship and for many a much needed break from the everyday to do what we all love…papercraft! What does a weekend at Crop & Create weekend look like? It's a great mixture of crop time where you can work on your own projects, educational classes, amazing food and even more amazing prizes! We kick off the party with a gift to each attendee – a lovely pink bag filled with an exclusive Crop & Create kit! It's a beautifully coordinated class kit filled with new products our educators have worked with along with complete instructions to complete it over the weekend. After you're seated at your assigned table with your friends or, if coming alone, with some fun friends we've selected for you, we open the event with some announcements and for some it's off to classes! Classes are totally optional. Later on Friday evening we break for a fabulous dessert buffet and our Friday evening event which consists of multiple make n' takes and a fun teacher meet n' greet. At midnight we say goodnight and get ready to do it all again on Saturday and Sunday! Crop, classes, eat, repeat! Does this all sound like it's just what you need? Why not join us this year! Visit our website here for all the details. We have readers from all over North American who come and of course there's Mary from Scotland who has been to 6, Penny from England who has been to 4 and we have many friends who have been to 10 of our 31 events! (yes, we've held 31 Crop & Create events!) It really is a weekend you'll never forget…and neither do we! 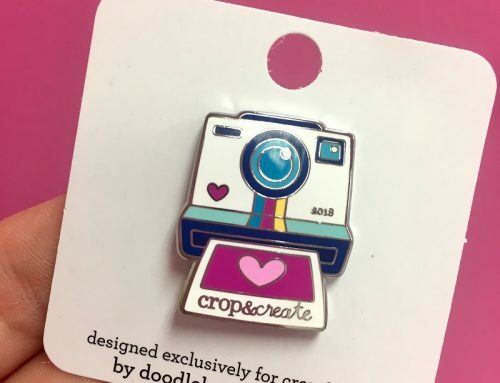 Crop & Create Kit & Pin Giveaway! WASHI TAPE FEATHERS, MINI ALBUMS, BUTTERFLIES, CLUSTERS, LAYERS…THOSE BOLD COLORS, THOSE PASTEL COLORS & I AM SO SURE I COULD HANDLE ALL OF THAT FUN!!! One of the best crops that I have ever been to. A weekend of paper pampering with some chocolate and goodness thrown in!! Brand new product from companies included in classes and incredibly qualified and enthusiastic teachers! If you have never been to a Crop and Create event, and one is being planned close to where you live…you don’t want to miss it!! This will be my first experience with Crop&Create but I have friends who have attended and highly recommended it. I’m attending alone as I have just moved to Calgary and I hope to meet some fun loving gals. If you can, give yourself a treat. 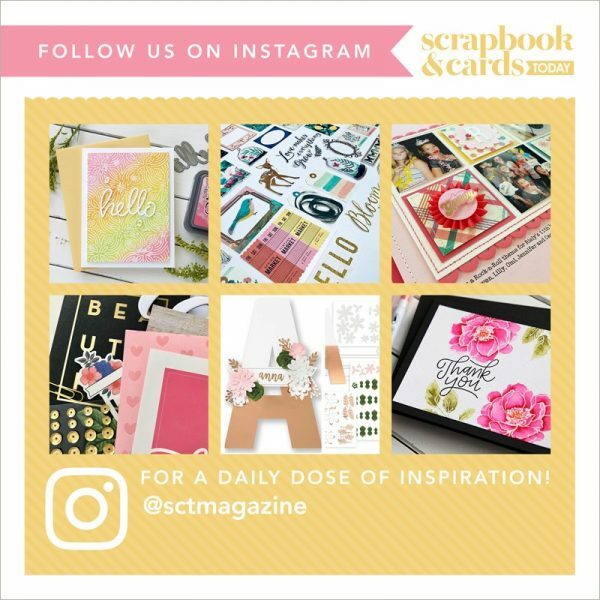 It’s like Disney World for scrapbookers and card makers! So, so fun and so enriching. I look forward to it all year! I have to say it is the highlight of my friends and my year…so much so that I am planning on also attending the event in Winnipeg come 2018…2 in 1 year!!! Thank you so much for coming to our little city…we look forward to your next visit from the night we have to say good-bye until you come again. Loved my experience at Crop & Create, Burnaby and Abbottsford. SCT treats you like family, wonderful teachers, Best Make & Takes ……EVER!! great food and the new Abbottsford location has the best views of Mount Baker and the Cascades. Classes are so much fun with fun and interesting teachers and the goodie bag is the best. So happy that they are back in BC so I can attend, as I live in Washington State. Best event I’ve ever been at. Can’t wait for this year’s C&C. Love it and wouldn’t miss it for anything. You will love the weekend. Such an awesome weekend! The classes and instructors are amazing and the product you receive is so generous. Lots of laughts, friends and goodtimes – memories in the making! Looking forward to seeing everyone in Toronto and Cornwall! I have come to look forward to C&C all year! THE MOST friendly and fun group of people that organize and run an event that gives everyone the opportunity to thoroughly enjoy doing what they love to do! Along with the chance to learn some new techniques AND win some fantastic prizes! There’s only one bad thing about the whole weekend….it goes by too fast!! !